The Reading Strategies Book made the New York Times Best Seller List by making it simpler to match students’ needs to high-quality instruction. 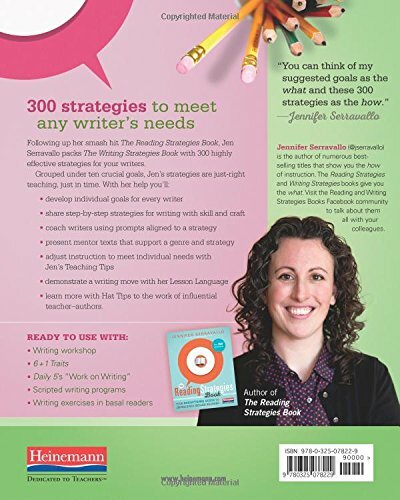 Now, in The Writing Strategies Book, Jen Serravallo does the same, collecting 300 of the most effective strategies to share with writers, and grouping them beneath 10 crucial goals. learn more with Hat Tips to the work of influential teacher-authors. She even offers suggestions for stocking your writing center, planning units of study, celebrating student writing, and keeping records. Whether you use Writing Workshop, 6+1 Traits, Daily 5’s “Work on Writing,” a scripted writing program, the writing exercises in your basal, or any other approach, you’ll discover a treasure chest of ways to work with whole classes, small groups, or individual writers. 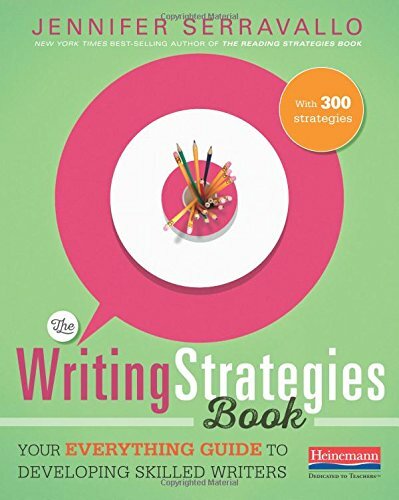 “I am convinced that helping kids to articulate clear goals for their work,” writes Jen Serravallo, “and supporting them with strategies and feedback to accomplish those goals, makes a huge difference.” With The Writing Strategies Book you can make that kind of difference with your writers every day. Visit heinemann.com/writingstrategiesbook/ where you’ll find blog posts, videos from Jen Serravallo, community features, and more information on The Writing Strategies Book.